AWESOME!!!! You are all Registered!! We at Asurent thank you for joining us in giving to a great cause! And just as importantly, we look forward to having a great time together. Please bring the Paypal receipt with you to the party, that will serve as your tickets. You will get 1 drink and tapa appetizers for free with your ticket. Please remember to bring hygiene products as well. Remember that for every hygiene product you bring, you get 1 raffle ticket. (or $3 each). 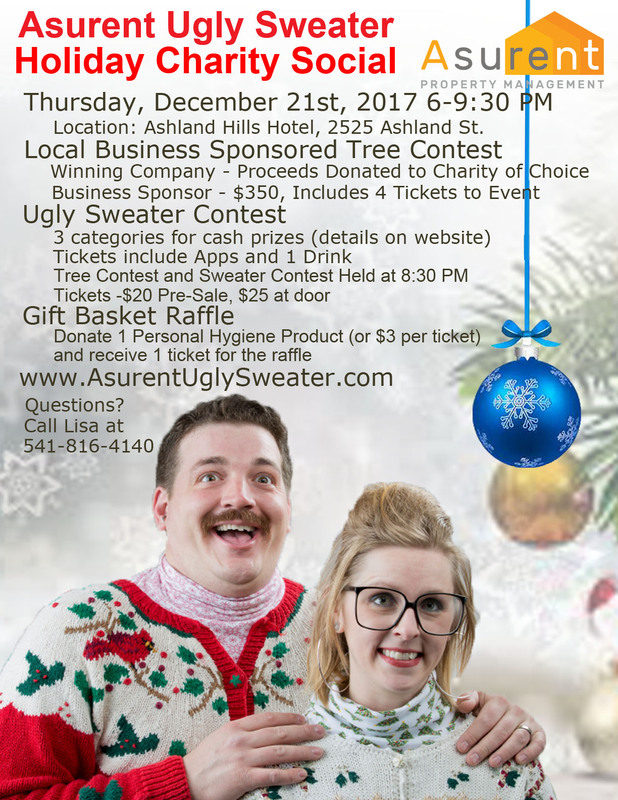 Get ready to have some fun and come with your best Ugly Sweater!! !